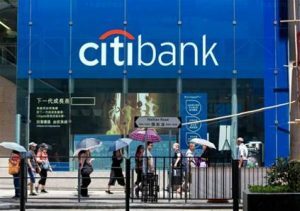 Citibank recently announced plans to roll out its Messenger Chatbot in Hong Kong by the end of 2018. The bank chose Singapore as the first market to get the new bot last year and is now extending the service to Hong Kong, a move that will provide five million additional Facebook users with access. Citi’s Chatbot uses natural language processing to help Customers manage their accounts through Facebook. While there are many banking bots on the market, reports say Citi’s will be the first Facebook Messenger-embedded Chatbot to allow Customers to access their financial records and potentially conduct transactions in future. Though there are some objections to bots entering the banking space, the idea of moving mobile banking to a conversational platform on Facebook is exciting when you consider the increased accessibility the shift could provide. The current options — Mobile Banking Apps and Onsite Bots — leave Users with yet another interface to learn, but Messenger Bots bring their services to a platform where Users are likely already well-versed and checking in regularly. While there is a lot of noise about Citi’s Bot, the institution isn’t alone in offering financial services via Messenger. Other notable names in the space include Wells Fargo and American Express. These two companies have also made the move to extend their Mobile Banking Services to Facebook using Messenger Bots with different capabilities. Wells Fargo announced its plans to test a new Facebook Messenger Chatbot last spring it highlighted the bot as its “ latest effort to engage and serve Customers directly on social media — via desktop, smartphone, and other mobile devices — through an artificial intelligence-powered Chatbot ”. The initial Wells Fargo Chatbot design enabled Users to complete tasks such as checking account balances and reviewing spending activity. In February 2018, Wells Fargo announced it would add an AI-powered feature to the bot to offer “ predictive banking ” – which provides Users with tailored account information and financial guidance. In another example of bots, American Express (AmEx) often lures Customers in with the promise of superior fraud protection and solid membership perks and rewards. So it’s no surprise that the company’s bot for Messenger has the ability to update members about new rewards and can facilitate in the process of identifying and stopping credit card fraud. According to AmEx’s site, the bot can also answer general cardholder questions, add additional cards to an account, and show account balances. In addition to extending services for Users and hours of service availability, bots in many cases are part of an automation initiative and plan to provide more User self-serve capabilities to reduce costs and increase convenience for Customers. Further as bots enhance service accessibility and easier integration for Users, deliver a great User experience and real value, along with the appropriate system security – Chatbots are another example of change transforming financial services. Chatbots are quickly becoming one of the most widely accessible AI technologies for businesses, thanks to platforms like Facebook Messenger, .BOT, and Chatbase. These technologies were created by major players in the tech industry to assist enterprises leverage the power of AI and get more value from the investment in current information services to extend business capabilities – that minimize cost and mitigate risk. This means that many organizations are able to create and optimize bots to reshape their mobile offerings. From this, as Chatbots become more sophisticated in financial services with a seamless and intuitive User experience, the future is expected to be more accessibility thanks to the ability to integrate mobile banking operations with conversational AI platforms on popular social media sites.